To know the lovely family are so grateful and thankful is very humbling indeed. When Josie Manhambara was given the chance to help save the life of a boy who lived over 7,000 miles away in Chile, she never thought that one day the family would be in touch to say thank you and be affectionately known as his second mum. Josie was working as a radiographer at a Sheffield hospital, and had been a regular blood donor since her teens. It was while attending one of her donor sessions she became aware of the lack of stem cell and bone marrow donors from ethnic minority backgrounds. This prompted the mum-of-two to join the British Bone Marrow Registry (BBMR) in 2008. Four years later Josie was told she was a match, and she was only too pleased to donate her bone marrow to help save someone`s life - over 7,300 miles away in Santiago, Chile. Reading the literature at my blood donor centre made me realise the shortage of stem cell donors especially from ethnic minority groups. 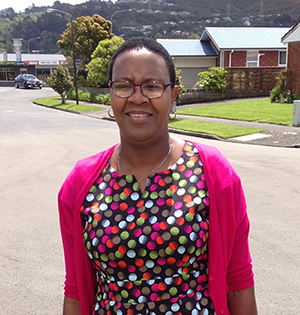 Josie, who moved to England from Zimbabwe in 1999, said: "Reading the literature at my blood donor centre made me realise the shortage of stem cell donors especially from ethnic minority groups. I registered to the BBMR but I never thought in a million years I would be a close match to someone, as I had friends and colleagues who are on the register and have never been a match. "I was happy and content that I had put myself out there and done the best I could if ever I was needed. I could only be in a position to help if I was on the register even if the odds were not very high." I didn't fully comprehend the full impact of my donation, and what it really meant for the patient I was helping and their family. Josie donated to nine-year-old Ignacio Marín Chinchón. He was diagnosed with a rare form of leukaemia and his only chance of survival was a bone marrow transplant. Josie donated in Newcastle, and helicopters were on standby to transport the life-saving treatment to Heathrow airport, which was then flown on to Santiago. The logistical operation made Josie realise the enormity of what she was doing, which was made more difficult as the UK was experiencing heavy snowfall. Josie was determined to get to Newcastle to help save the boy’s life, plus the BBMR and Ignacio’s family had made several flight reservations on three different routes to ensure the bone marrow arrived in Chile in time for Ignacio to receive the treatment. I was very emotional for a long time after the donation, and could never talk about it without welling up. Josie, 45, who has two daughters aged 18 and 21, added: “I didn't fully comprehend the full impact of my donation, and what it really meant for the patient I was helping and their family. I knew nothing about the transplant recipient except that it was a little boy somewhere in the Southern Hemisphere! "I went in to theatre and was having the procedure explained to me when it was mentioned that a helicopter was waiting for my bone marrow to fly it to Heathrow airport. Just that relatively insignificant fact made everything fall into perspective, and I realised what a big coordinated mission it was! "I was very emotional for a long time after the donation, and could never talk about it without welling up. I always thought about my recipient and prayed for their successful recovery. So for the past few years I have always carried thoughts of this little boy, and he was always in my heart and in my prayers, always hoping and willing for my bone marrow to have helped him." 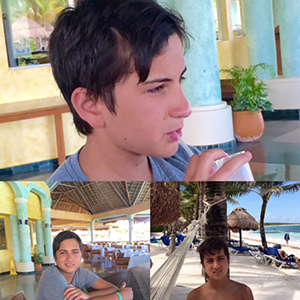 Ignacio was eight when he was diagnosed with leukaemia. His family were tested but none were a close match, and at the time Chile didn`t have a bone marrow register. A search of the international registers revealed that Josie was a potential match, and further testing then showed that she was a good match for Ignacio. He received the bone marrow transplant in February 2012 aged nine. I was happy and content that I had put myself out there and done the best I could. Now aged 14, Ignacio is living life to the full and doing well at school as president of his class. He was chosen to take part in an exchange programme with Stanford University in America where he stayed for a few weeks. He has two brothers Santiago, 15, and Beltrán aged 10. His proud parents Javiera and Cristian are eternally grateful to Josie, and contacted the BBMR to pass on their gratitude to her and say thank you. Now they regularly email each other and Ignacio affectionately calls her his second mother. The family and Josie hope to meet one day. Mum, Javiera, said: "You can imagine how our world broke apart when we were told Ignacio had a rare form of leukaemia. This was terrible news, we were devastated and totally desperate. He immediately received aggressive treatment for months, but we got to the stage where the situation was very bad. His only possibility of life was to get a bone marrow transplant. It took some time after the transplant before Ignacio showed signs of recovering and the bone marrow transplant was working. Javiera added: "Ignacio is doing fantastic and living a perfectly normal life for someone his age. He has some secondary effects in his lungs and growth, but they are minimum in comparison to his happy development. He is a total teenager and has a tremendous personality! We are totally proud of him, he has a good heart too, so I always think that he will be a tremendous contribution to society. Ignacio has written to Josie and says she is his second mother, which I think is lovely. I am so grateful he has a second chance of life." Josie, who has since emigrated to New Zealand, said: "It was a blessing when I received communication from Ignacio and his mum Javiera. To know the lovely family are so grateful and thankful is very humbling indeed. I hope that one day I will meet Ignacio and his family." Have you been inspired by Josie's story? Sign up donate your stem cells and help save lives. Most people aged between 17 and 66 years can donate blood.